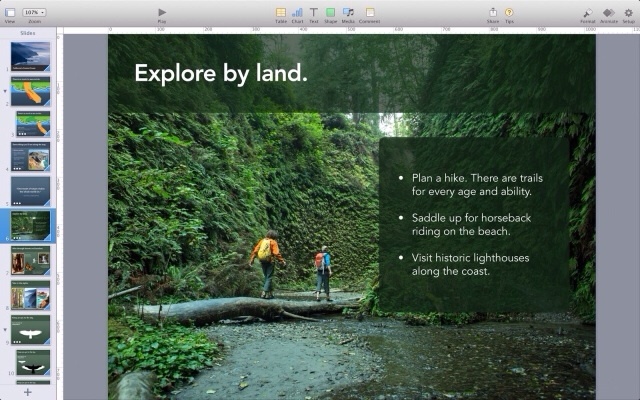 Apple has updated Keynote for Mac with new transitions, new builds, and a customizable toolbar. Easily create gorgeous presentations with the all-new Keynote, featuring powerful yet easy-to-use tools and dazzling effects that will make you a very hard act to follow. The Theme Chooser lets you skim through an impressive collection of 30 new and updated Apple-designed themes. Once you’ve chosen the perfect canvas for your presentation, simply replace the placeholder text and graphics with your own words and images. Easy-to-use tools let you add tables, charts, shapes, photos, and videos to slides—and bring it all to life with cinematic animations and transitions that look as though they were created by your own special effects team. Animate your data with new interactive column, bar, scatter, and bubble charts. 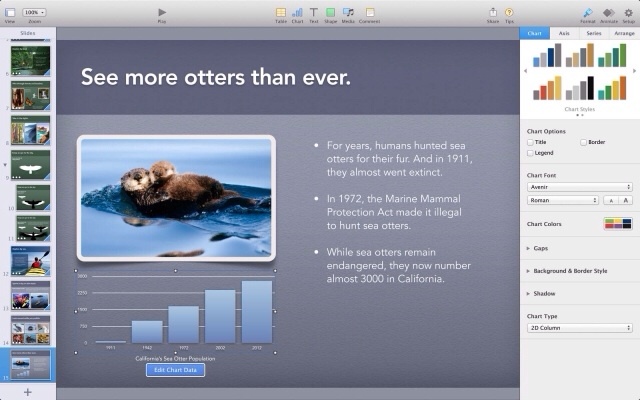 Use iCloud to keep your presentations up to date across all your devices. 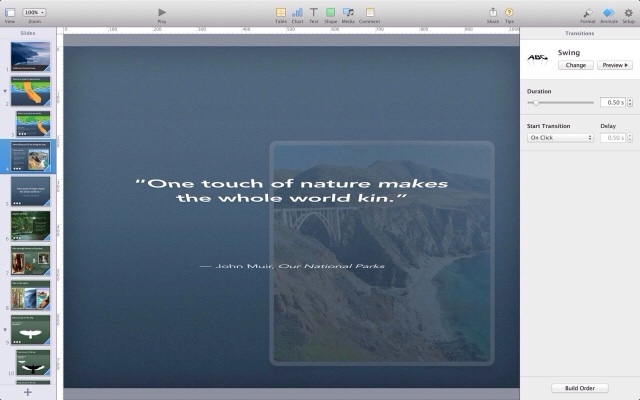 You can instantly share a presentation using just a link, giving others the latest version and the ability to edit it directly with Keynote for iCloud beta from www.icloud.com using a Mac or PC browser. You can purchase Keynote from the App Store for $19.99.